I stayed at the new InterContinental Singapore Robertson Quay a couple of months ago and checked out the Club Riverview Studio King. When the hotel first opened towards the end of 2017, the room rates here are consistently higher than the InterContinental Singapore in Bugis (which is still my preferred IC property in Singapore). However, while I was 'window-shopping' for a weekend staycation, I realised that you can now get a breakfast-inclusive rate at the InterContinental Singapore Robertson Quay for as little as S$175++. Click HERE to check out the room rates at InterContinental Singapore Robertson Quay! 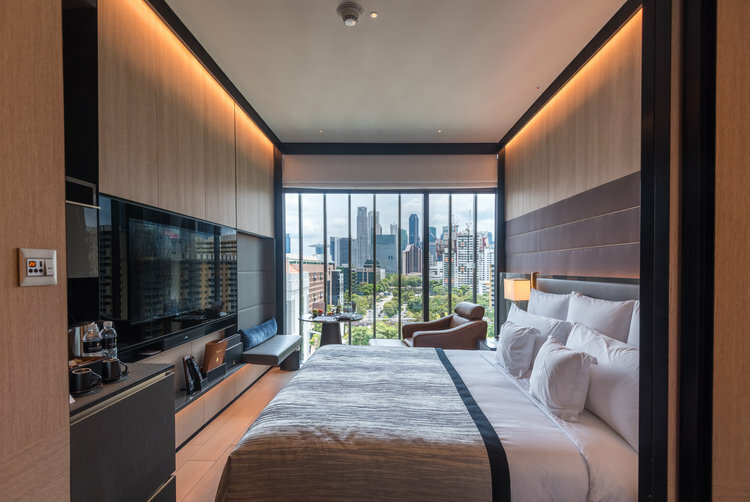 If you have not completed your accelerate challenges for this quarter and you need to stay in an InterContinental property, the InterContinental Singapore Robertson Quay may be an excellent choice considering how cheap it is. At the time of writing, ShopBack is currently offering 5% cashback for eligible hotel reservations made on IHG so make sure you do that as well to stretch your dollar.